Hi Everyone. I bought a 98 2.5 with 130K miles, perfect running condition. It came with extensive maintenance records, several thousands over the years, and the car looks spotless new. However, I cannot see any record about the IMS bearing replaced. I would assume it has been replaced, but it would give me peace of mind if there was a way to verify it. I tried contacting the previous owner, but no answer. Any advice? Is there any way to check? No way to check, but 98s have the double row IMSB, which has a failure rate of less than 1%. I wouldn't worry about it. Just replace it when you do the clutch. San Rensho, thank you for your reply. I sent you a private message. Thanks. I agree, I worried my self to death before I installed the IMS Guardian! Have the same 2.5L block in my 97 boxster, just pulled the IMSB at 80,000km as a preventive maintenance measure, bearing seal was still very much in tact and bearing exhibited little play. As San mentioned, the first gen 986 came equipped with a double row bearing with a comparatively lower fail rate than the later single row bearings. As advised by many gurus on site here, best treat them as maintenance items and you should be fine. What prompted me to look at it was oil on the ground. As it turned out, it was the RMS and rubber seals on the auto transmission pump. Slapped on a LN retrofit IMSB, changed the hardened rubber seals and the AOS at the same time with the transmission box off and she runs like new now. Last edited by Mart; 02-10-2014 at 03:48 AM. A very experienced aftermarket Porsche garage owner told me that the double row bearing has a major advantage that when it fails (and it will) the first row that goes makes enough noise (if you're lucky) that if you shut it down really quickly and tow it away you likely have not done serious damage as the second row is holding things together briefly. But with a single row bearing, the engine is likely shot when you hear it go. Never heard this double row, slower failure, theory before. I wouldn't place much value on it. If the bearing starts to fail, it will scatter metal pieces throughout the engine, which will cause long-term problems. So while, the bearing may not have failed so far for the engine to destroy itself, it's not a good thing. If you're worried, replace the clutch and the bearing and put the issue to rest. The Porsche mechanic (we're talking the owner of a full race shop) has changed hundreds and did this half day lecture for the PCA local chapter at his garage. He says the double row bearing failure will make itself known....so, if you hear it you likely have safe seconds or minutes to shut it down. Believe what you will. He also said that once the IMS bearing is replaced you should think about doing a 50,000 mi replacement if you truly want to stay safe. Personally I have 60,000 mi and my clutch is fine. If I had a lot of money to throw at it, I wouldn't have a 13 yr old car! He says the double row bearing failure will make itself known....so, if you hear it you likely have safe seconds or minutes to shut it down. Dual row bearings do take longer to fail, because they have twice the load carrying capacity over a single row. That said, if a bearing goes long enough to be heard the oil filter has already become clogged with a large amount of debris which pops the bypass open (non-filtered oil) and feeds material laden oil to the main and rod bearings. There are pros and cons of OEM dual row bearings, remember, bearing failure is generally NOT what takes the complete engine out, its the harmful ferromagnetic wear materials that create secondary conditions that are much more costly to repair and harder to overcome. So, while a dual row OEM IMSB is stronger, it has twice as many wear components to create wear debris and the engine runs longer before the bearing completes stage 4 failure, meaning that debris has longer to do its job of chewing everything apart. Retrofitting the IMSB and following the service interval set forth by the Mfr of the replacement bearing that you choose is the key. A ball bearing is made up of an inner and outer race, balls, a retainer that keeps the balls in the correct distribution spacing, and 2 seals. Early on, metal will start to flake away from all metal components, but it's hard to imagine those tiny chips and flakes, and perhaps a chunk of flat rubbery seal clogging a filter the size of a Porsche filter cartridge. The OEM by-pass valve on the factory filter housing has a bad tendency to stick open even with the oil is clean, much less full of shavings. The filter doesn't have to clog completely! The factory bypass is horrid and will open fully at start up if the filter is only 30% blocked and thats with 0 weight oil. 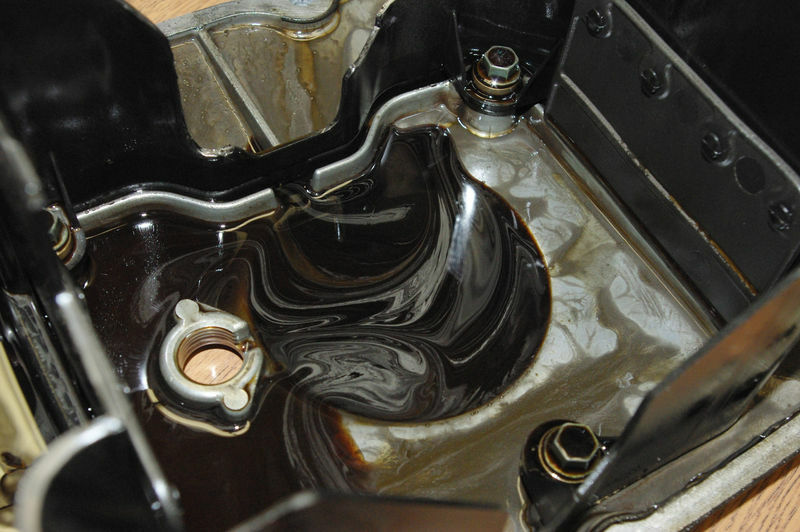 Unlike other engines that have a bypass that sends bypassed oil back to the sump, the M96 doesn't do this as it simply pushes a plunger down and allows the bypass oil (material laden) to go right through the center of the filter. This is how bypass oil delivers death (if material laden) to all other internally lubricated components of the M96 even if the filter is NOT clogged, as at start up the filter will always bypass a portion of the oil. When that bypass spring is exposed to excess temperature the spring loses tension and therefore open sooner and bypasses even more oil. If you have enough debris in the filter to be noted with a naked eye, its enough to pop the bypass. People don't know, what they don't know about this system. It takes seeing failures everyday to understand the dynamics behind it. So, the filter does NOT have to be completely "clogged" to increase bypass oil. I have redesigned the entire primary oil system, its the next product that you'll see released and it solves this problem.